This entry was posted in moments and tagged Thanksgiving by Shanda. Bookmark the permalink. How awesome is that!! LOVE. hi shanda…….great photo idea. yummy!! Yum! AND such a nice picture of you all. 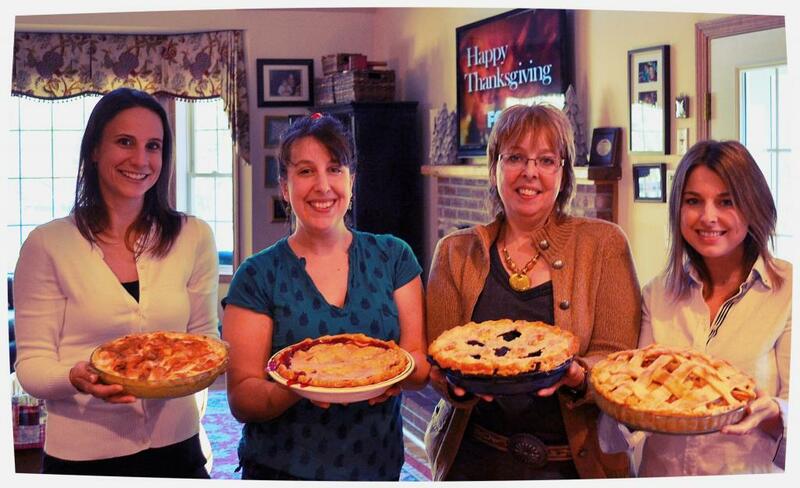 Oh my goodness, those pies look so delicious. You could put those in a magazine. I’ll bet they tasted even better than they look. Great picture of all of you, too!